Heinrich Schütz (October 8, 1585 in Bad Köstritz; November 6, 1672 in Dresden) was a German composer and organist, generally regarded as the most important German composer before Johann Sebastian Bach and is often considered to be one of the most important composers of the seventeenth century along with Claudio Monteverdi. He wrote what is thought to be the first German opera, Dafne, performed at Torgau in 1627; however, the music has since been lost. He is commemorated as a musician in the Calendar of Saints of the Lutheran Church on July 28 with Johann Sebastian Bach and George Frideric Handel. He was buried in the Dresden Frauenkirche. Schütz's musical talents were discovered by Moritz von Hessen-Kassel in 1599. After serving as a choir-boy, he went on to study law at Marburg before going to Venice from 1609-1613 to study music with Giovanni Gabrieli. He subsequently had a short stint as an organist at Kassel before moving to Dresden in 1615 to work as court composer to the Prince-elector of Saxony. He held his Dresden post until the end of his life (sowing the seeds of what is now the Sächsische Staatskapelle Dresden while there), but left Dresden itself on several occasions. In 1628, he went to Venice again, most likely meeting Claudio Monteverdi there&mdash. He may have studied with him—and in 1633, after the Thirty Years' War had disrupted life at the court, he took a post at Copenhagen. He returned full time to Dresden in 1641, and remained there for the rest of his life. He died from a stroke in 1672 at the age of 87. Schütz's compositions show the influence of his teacher Gabrieli (displayed most notably with Schütz's use of resplendent Venetian polychoral style and concertato styles) and of Monteverdi. Additionally, the influence of the Franco-Flemish or Netherlandish School of the sixteenth century is also prominent in his work. His best known works are in the field of sacred music, ranging from solo voice with instrumental accompaniment, to 'a cappella' choral music. Representative works include his three books of Symphoniae sacrae, the Psalms of David, the Sieben Worte Jesu Christi am Kreuz (the Seven Last Words on the Cross) and his three Passion settings. Schütz's music, while starting off in the most progressive styles early in his career, eventually grows into a style that is simple and almost austere, culminating with his late Passion settings. Practical considerations were certainly responsible for part of this change, for example, the Thirty Years' War had devastated the musical infrastructure of Germany. Thus it was no longer practical or even possible to put on the gigantic works in the Venetian school style which marked his earlier period. Schütz was one of the last composers to write in a modal style. His harmonies often result from the contrapuntal alignment of voices rather than from any sense of "harmonic motion." Contrastingly, much of his music shows a strong tonal pull when approaching cadences. His music includes a great deal of imitation, but structured in such a way that the successive voices do not necessarily enter after the same number of beats, or at predictable intervallic distances. Schütz's writing often includes intense dissonances caused by the contrapuntal motion of voices moving in correct individual linear motion, but resulting in startling harmonic tension. Above all, his music displays extreme sensitivity to the accents and meaning of the text, which is often conveyed using special technical figures drawn from 'musica poetica', themselves drawn from or created in analogy to the verbal figures of Classical Rhetoric. Almost no secular music by Schütz has survived, save for a few domestic songs (arien) and no purely instrumental music at all (unless one counts the short instrumental movement entitled "sinfonia" that encloses the dialogue of Die sieben Worte). Yet he had a reputation as one of the finest organists in Germany. Schütz was of great importance in bringing new musical ideas to Germany from Italy, and as such had a large influence on the German music which was to follow. The style of the north German organ school derives largely from Schütz (as well as from Netherlander Jan Pieterszoon Sweelinck). A century later, this music was to culminate in the work of J.S. Bach. 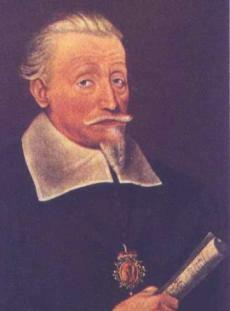 Schütz's developed the early development of Baroque style in Germany, and his two visits to Italy had a most significant effect on the direction taken by German music. He is often considered one of the most important composers of the seventeenth century with Claudio Monteverdi. His Dafne is thought to be the first German opera performed in 1627. Unfortunately, the music was lost. Schütz was commemorated as a musician in the Calendar of Saints of the Lutheran Church on July 28 with Johann Sebastian Bach and George Frideric Handel. The following are published works; there are over 500 total surviving individual pieces by Schütz. Most of these contain multiple pieces of music. This page was last modified on 2 April 2008, at 16:02.